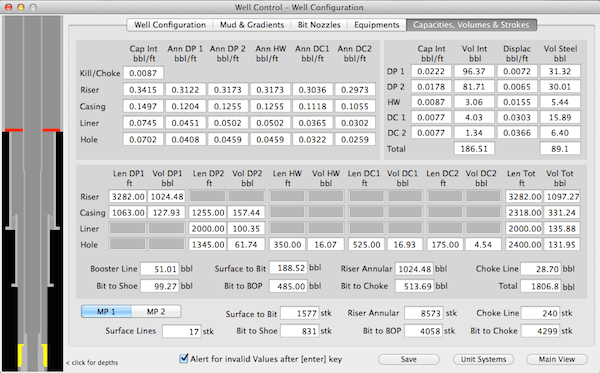 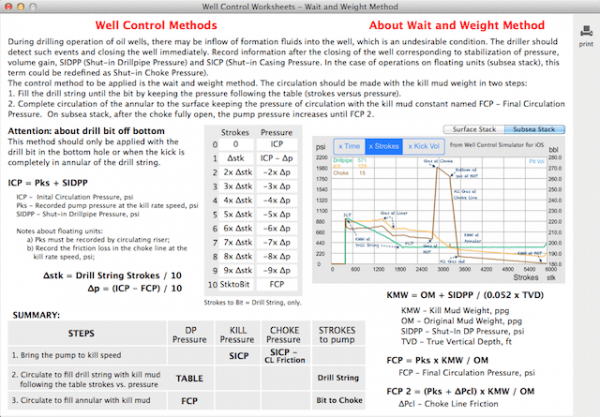 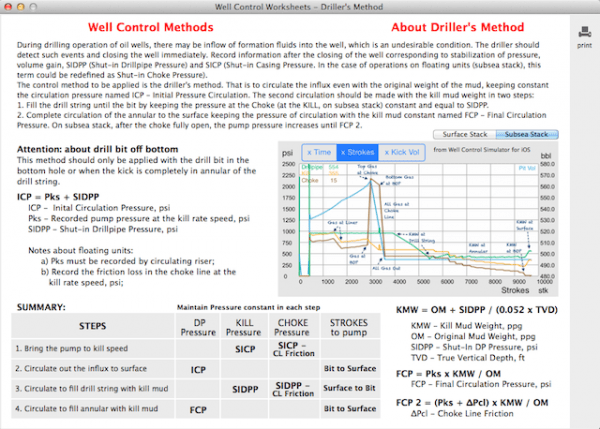 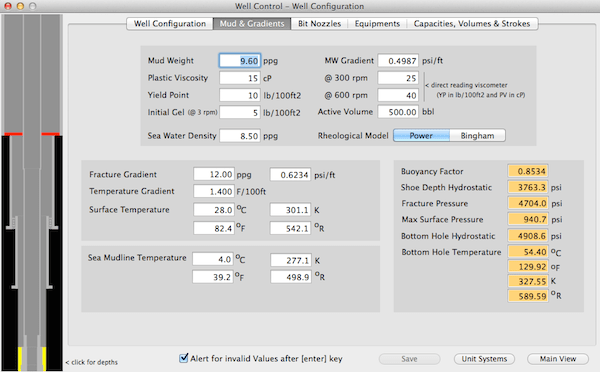 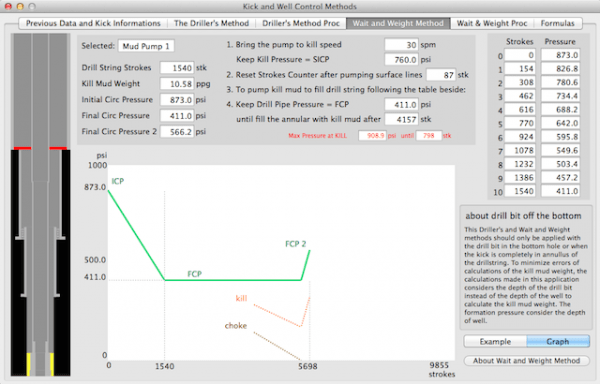 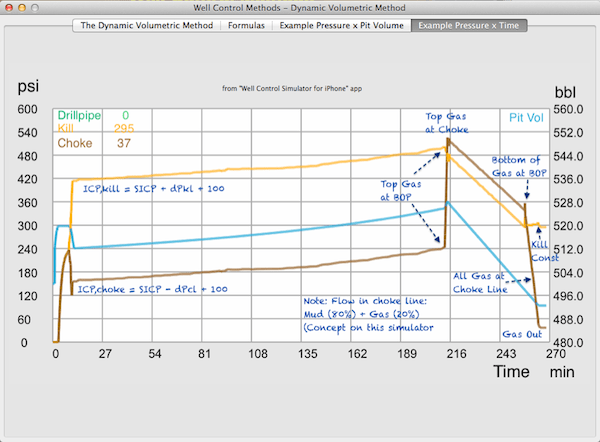 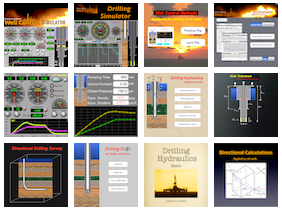 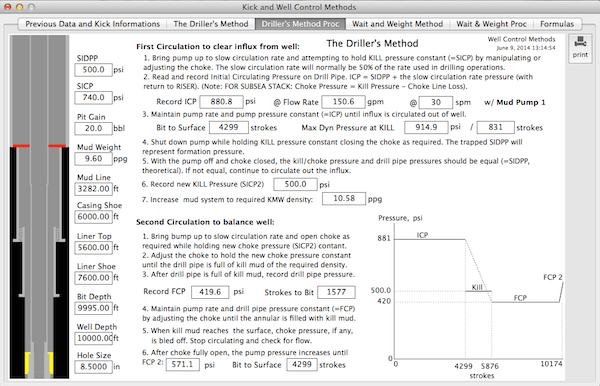 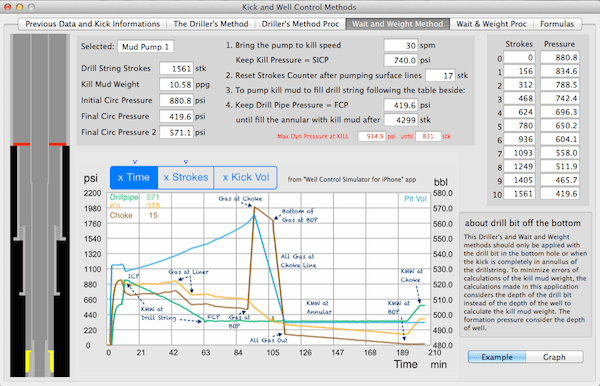 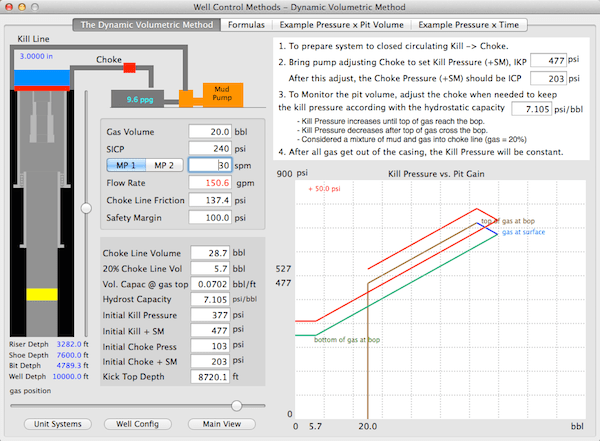 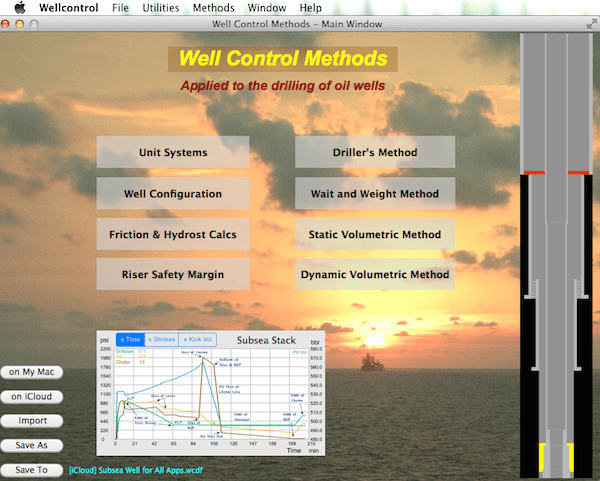 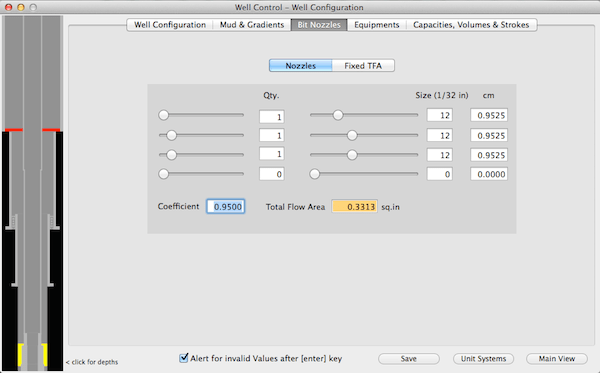 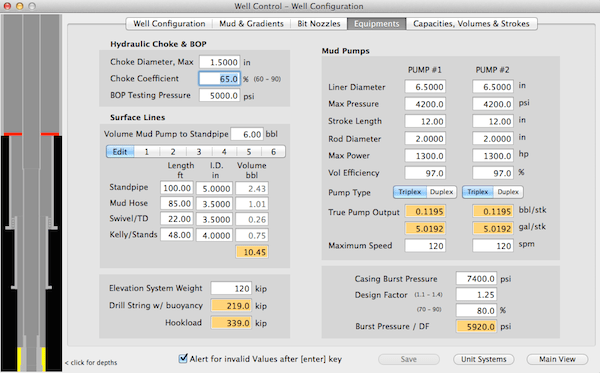 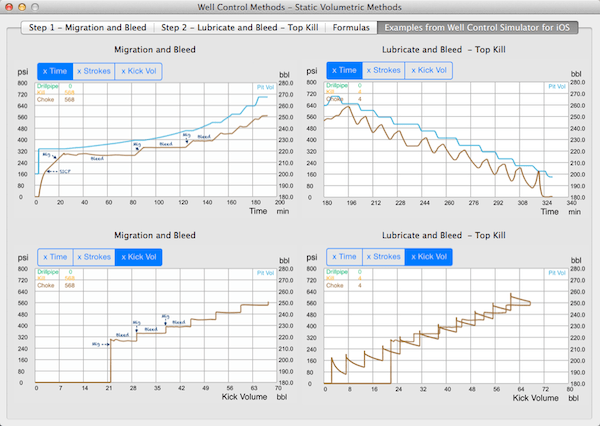 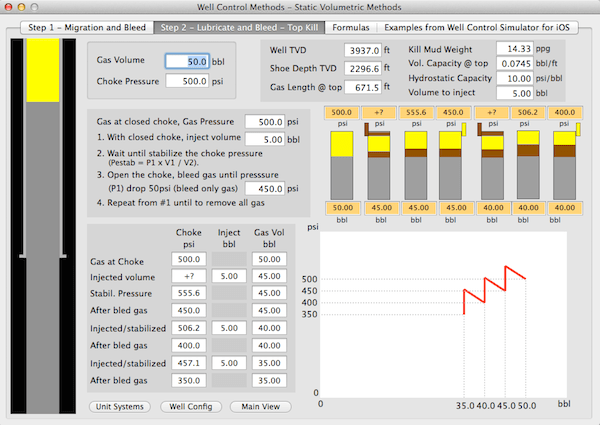 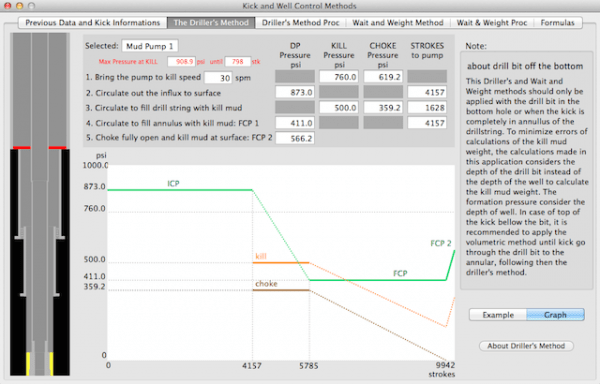 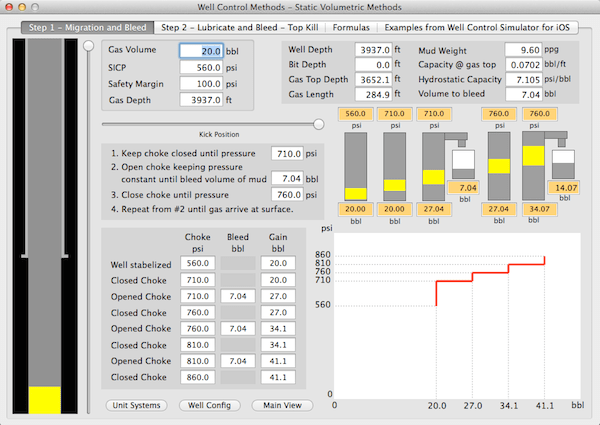 The Well Control for Mac provides to drillers, tool pushers, engineers, chemists, students and other professionals in Oil & Gas industry a productivity tool helpful in drilling of oil wells the understanding the methods of well control. 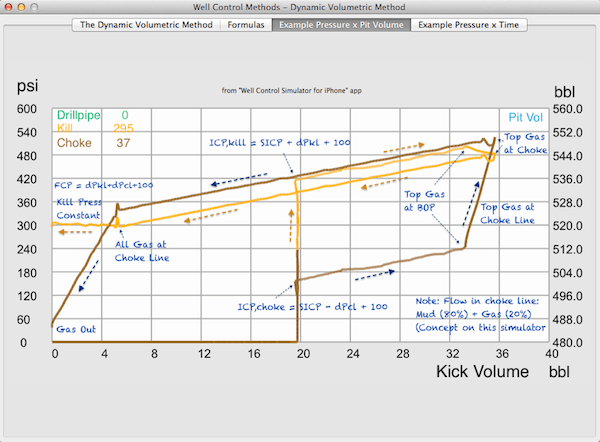 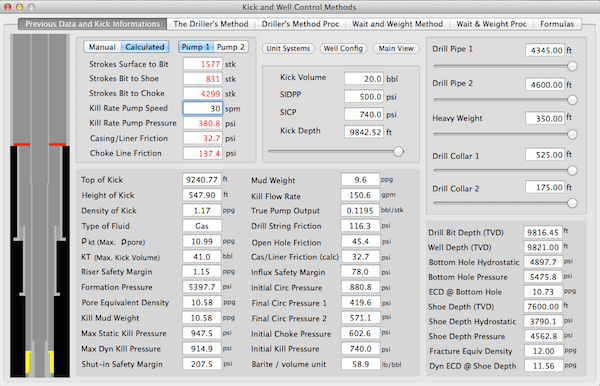 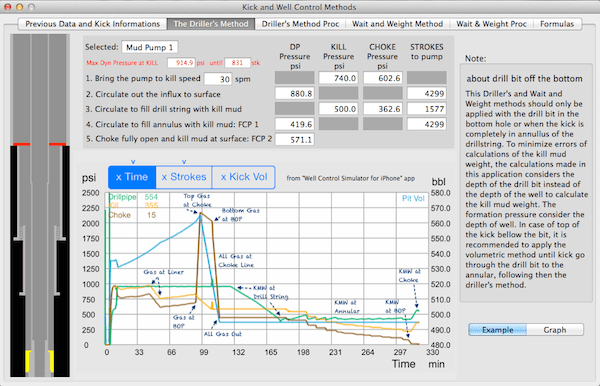 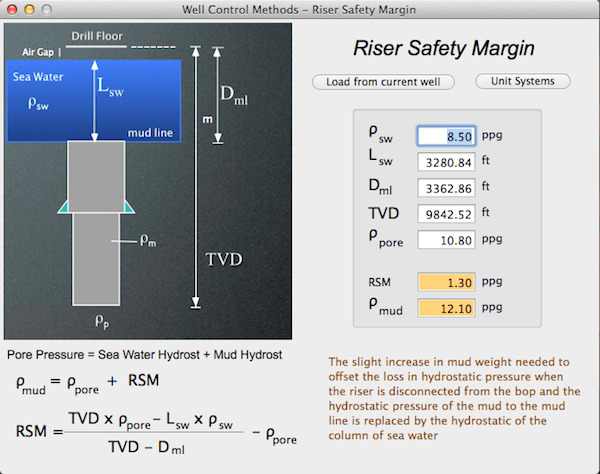 This application uses the basic calculations of the methods to control oil wells after the occurrence of kick during drilling operations on floating platforms and landing rigs. 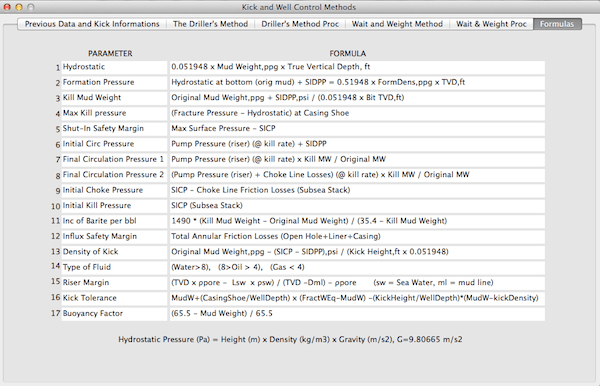 6) Views with calculations of hydrostatics, capacities, volumes and more. 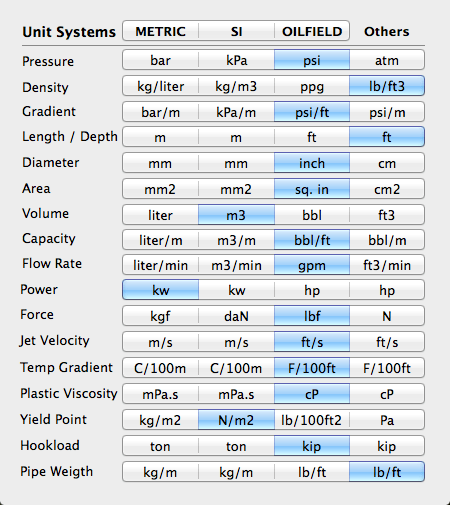 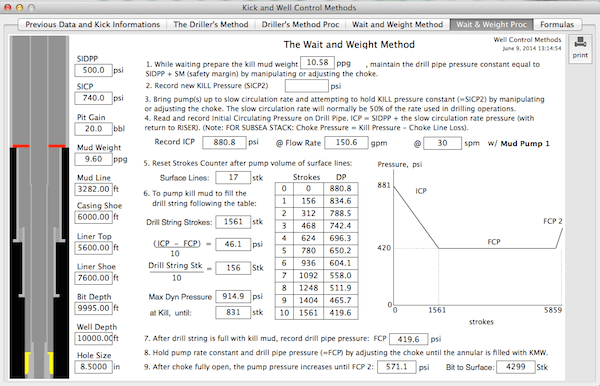 18) View for Internal pipe and Annulus friction losses and hydrostatic calculations. 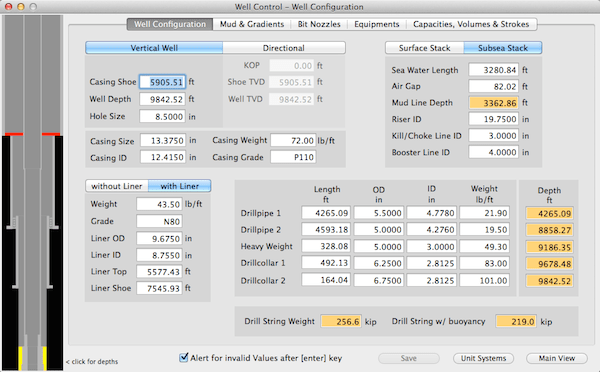 21) Sections in the well: Riser, Casing, Liner and Open Hole.